Fans included Twiggy, Cher, Brigitte Bardot and Yoko Ono. However it’s ethos wasn’t to cater to just the rich and famous, it’s main draw was it’s affordability and accessibility. Well the corpse has been dug up and dressed up as an ALL NEW Biba for the 21st century. 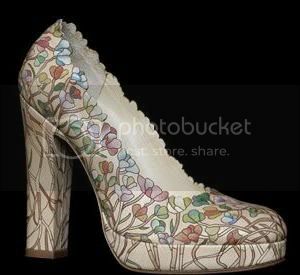 They recently presented a collection at Paris and currently, the new shoe collection is being sold at places like Selfridges London, Barneys New York and Colette Paris. What’s wrong with this picture? 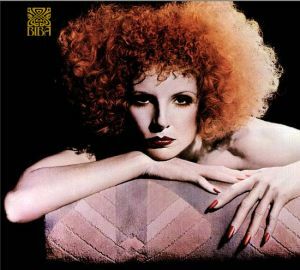 Does this not go against the whole accessible to everyone ethos that made Biba so loved by everyone. Now they’re planning on a range of cosmetics, eyewear, as well as fully re-launching the clothing line. 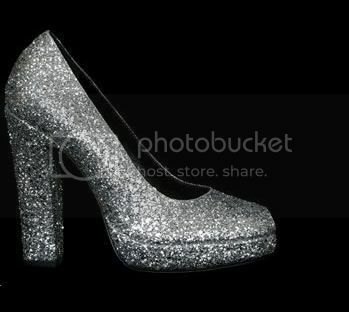 No doubt the prices will be ridiculously high if the shoes are anything to go by. Think you too can now get your hands on some Biba chic? Think again. These shoes will set you back £350 (!) Lovely as they are, I just feel like the point of Biba has been lost and glossed over just so they can aspire to be part of the high-end luxury designer section in a department store. This is like when Disney ruined Pocahontas by putting out a sequel. The original was great; the rehash just doesn’t compare. OMG! They DID ruin it didn’t they? Little Mermaid was wrecked too! Hi Susie. I found this link through your StyleDiary, and I just wanted to let you know how much I love your blog. It’s great to have something fashiony to read everyday, and I’m learning so much! Keep up the great work! And ah, I wish I could have shopped at Biba too in its heyday. Thanks Evangeline for checking out my blog! I’m still sort of getting to grips with how everything works but hopefully I can update it with a some interesting things! Yeah….if they actually revived the original concept of Biba, that would be great….except they’ve kind of made it all high-end designer which is just WRONG! 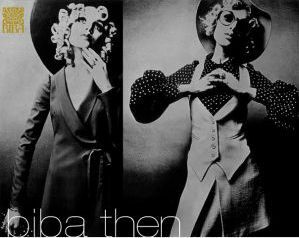 As much as I adore vintage Biba and what it stood for, they have to look forward not backwards. What they are doing is brilliant they are JUST evoking the past. People, you have to understand that it’s 2006 and not 1964. Things change and yes the original concept was revolutionary for its time. However the company has steered in a more designer demographic than the inovative concept that Barbara Hulanicki came up in 1964 when she first opened her first shop.